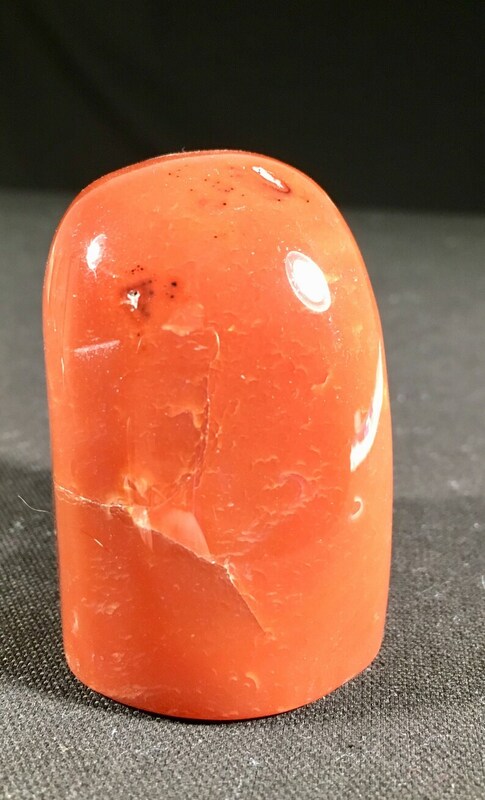 This beautiful polished Carnelian altar stone has incredible color and energy. This piece has beautiful sacral energy, very creative. The sacral chakra is the second chakra which is associated with the emotional body, sensuality, and creativity. This beautiful piece stands approxmately 2 inches tall and is about 1.5 inches wide and 1 inch deep. Its feels amazing in hand and looks beautiful standing. It would be great for an altar, desk or bedroom. We absolutely love the deep colors and energy of this piece.